ADVANCED FEATURES FOR ALL LEVELS OF EXPERIENCE - Includes Follow Me, Automatic Hovering (Auto Hover) / Altitude Hold, First Person View (FPV), 1-Key Takeoff & Landing / Auto Return, TapFly (Fly by Tapping via Smartphone & App), Point of Interest (360° Following Rotation, Auto Hover in Circular Rotation), Fail-Safe Return To Home, & More! 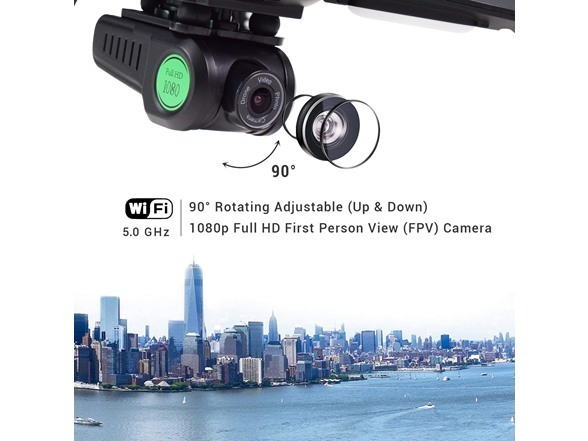 BUILT-IN, INTEGRATED 1080P HD WiFi CAMERA - Allows you to both take photos or record live video. 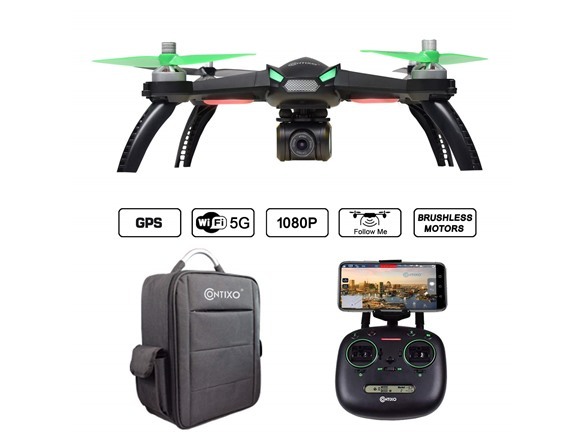 Use your smartphone and free downloadable app to fly and operate your Contixo F20 RC Remote & App Controlled drone, live stream video during flight for First Person View (FPV), Bird's Eye View, etc. 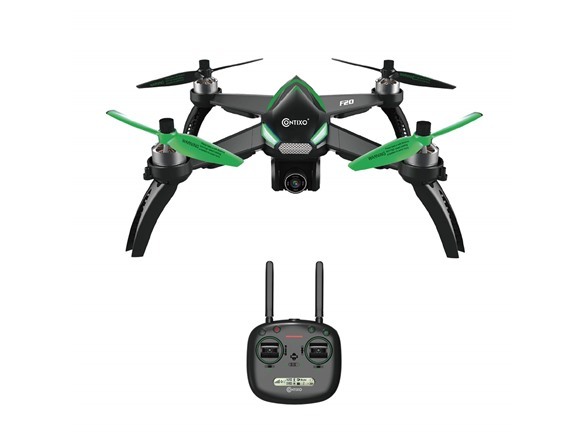 Comes with adjustable 5GHz 1080P 30fps Wi-Fi HD camera (300m, approx 984 ft FPV distance). Works with both iPhone iOS and Google Android devices. GPS ASSISTED FLIGHT: With GPS location, the rc drone can hover stably and automatically Return to Home precisely when battery is low, signal is lost or whenever you like it to move back. 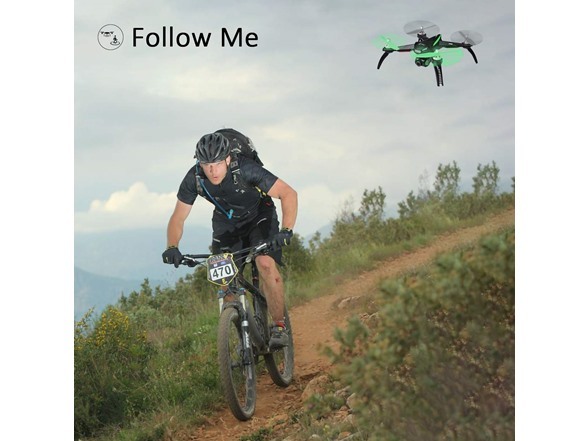 Shot with ease and record your moment when the quadcopter can follow you automatically under Follow Me mode. BRUSHLESS MOTOR & PRE-ASSEMBLED & COMPACT DESIGN: Brushless Motor runs strongly with low noise. Breakdown rarely occurs, which makes your flight more enjoyable. No need to assemble or put together the drone. It is ready to fly right out of the box. The small, compact, and extremely portable design makes it fun to take it anywhere and everywhere you go. 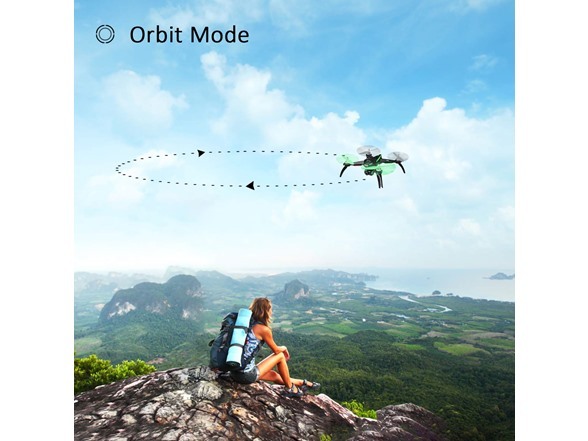 INTELLIGENT FLIGHT: With Phone App and GPS on, the drone can fly along the path you Draw or fly clockwise surrounding a preset Point; at the same time, send back wonderful views its 1080p camera catching to your phone screen. Besides, battery’s state of charge can reflect on your App or remote controller. The Contixo F20 has a compact design that allows you to pack your drone in/out without having to move the propellers or motors. The F20 does come with tools and an extra set of propellers for any repair needs. Fly the new Contixo F20 quadcopter drone from a bird eye's view, First Person View (FPV) experience. High-definition, 1080P camera captures every moment in great digital detail. Allows you to both take photos or record live video. 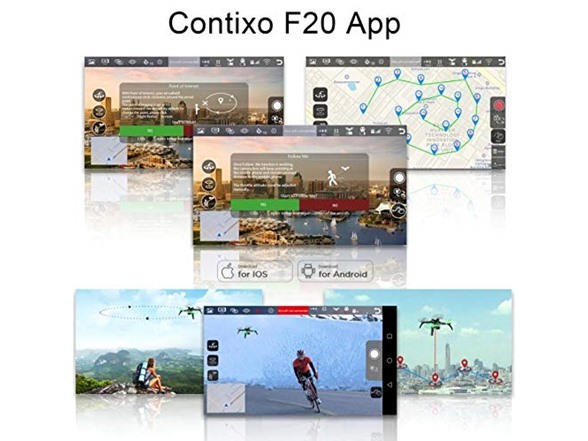 Use your smartphone and free downloadable app to fly and operate your Contixo F20 RC Remote & App Controlled drone, live stream video during flight for First Person View (FPV), Bird's Eye View, etc. Comes with adjustable 5G 1080P 30fps Wi-Fi HD camera. 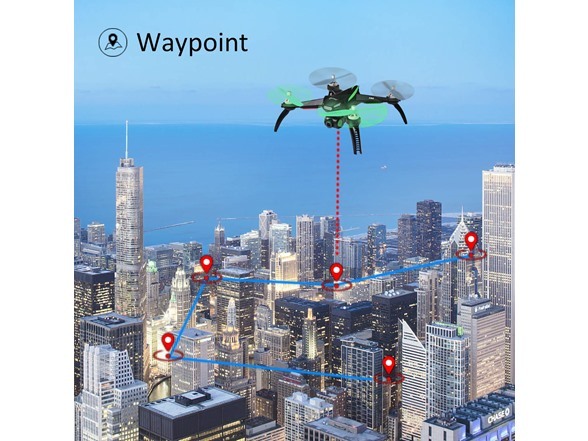 Also called "Point of Interest", it allows the quadcopter drone to circle around you or a preset point. Note - By default, this is set at a 30 feet radius. However, you can change this setting in the Settings menu. Fly up to 15-20 minutes flight time per charge. 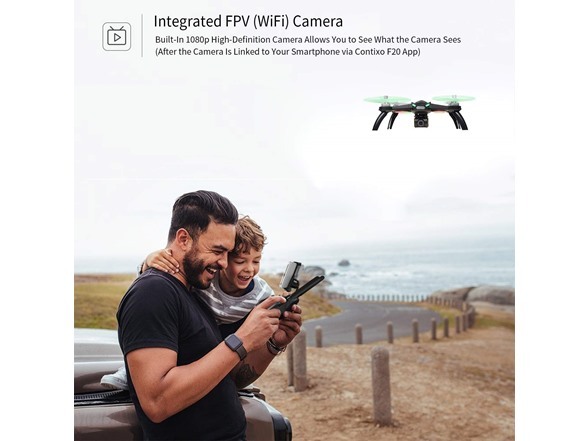 Allows the Contixo F20 quadcopter drone to hover above the GPS-enabled smartphone and become your personal camera person.Track footage of your every move, whether you run, cycle, ski, surf, or any other sports.Great for recording those family moments, vacation/trips, and anything else you can think of. 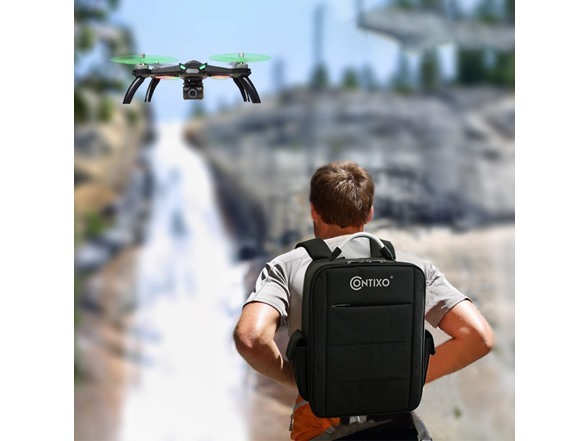 Made for the Contixo F20 RC quadcopter drone, this exclusive carrying case allows you to safely store and transport your new hobby toy. Never worry about removing and/or uninstalling the propellers or disassembling the drone again. This carrying case makes it safe and very convenient to carry your flying RC vehicle around.